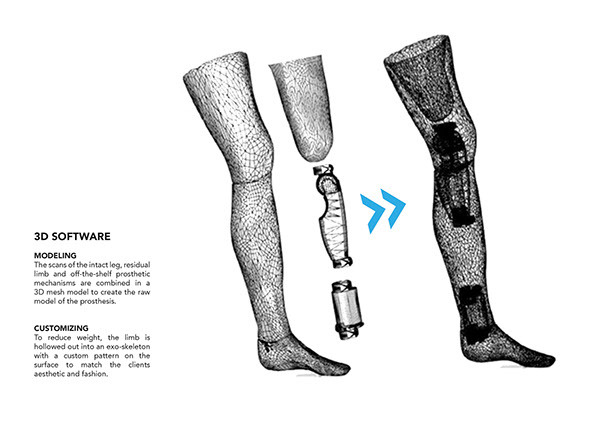 3D printing has transformed the prosthesis into something that can be readily created, accessible and comes at a very low cost production. However, so far the mix has been missing the aesthetics. 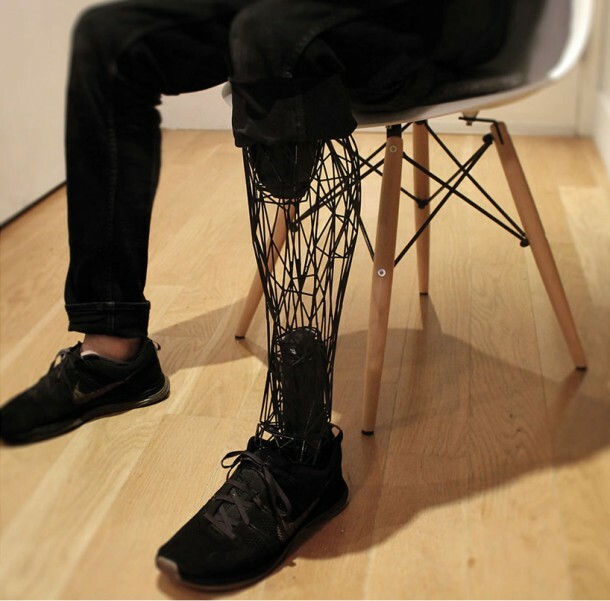 The Exo-Prosthetic Leg will be changing it by offering something that is different and far more aesthetically pleasing when compared with the robotics prosthesis. The limb is also quite cheap in cost. It makes use of 3D scanning, modeling and printing technology to manufacture an exoskeleton that is customizable and is made of titanium. It is created in such a way that it is capable of being the exact form replica of the amputated limb. There are more than 2 million amputees in the US alone. The Exo-Prosthetic comes from an industrial designer by the name of William Root who appreciates the beauty of prosthesis design. Root is sure that the appearance of current prosthetic limbs is because of an erroneous and in-need-of-an-update process used in their creation. He has made use of modern technologies to help in streamlining the process of manufacturing. Root is hoping to make the entire process autonomous while allowing it to create a customizable, beautiful and yet an affordable product. 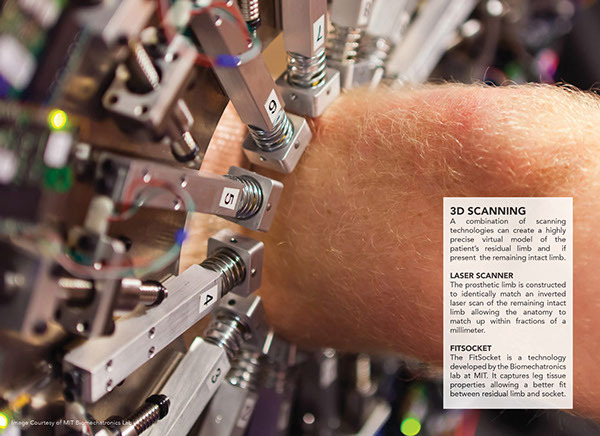 The process first of all scans the intact limb and the residual limb, making a precision-high 3D model that is virtual. This allows the anatomy matching with a precision of fractions of millimeters. Leg tissue properties between the socket and residual limb are also recorded through FitSocket technology by MIT helping in enhancing comfort for the user. The next step involves the creation of raw model for the prosthesis and in order to keep the weight to a minimum, the limb is kept hollow. The surface pattern and color of the exoskeleton can be changed as per user’s needs and also works as a scaffolding for the silicon sleeve. Finally, the model is sent on its way to a 3D printer where it is created from titanium that qualifies as a very durable, biocompatible and a lightweight metal. Laser sintering is used for the fusion of titanium dust particles. After its printing as a single unit exoskeleton, the limb is ready for assembly. Custom connectors that have already been 3D printed onto the prosthesis are employed to insert the Exo leg where it is secured by using the standard pyramid connector. 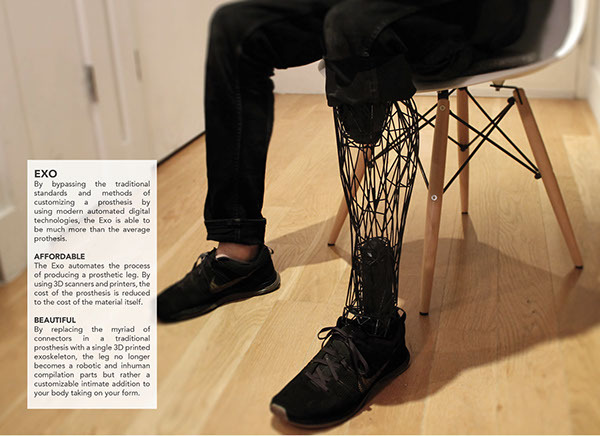 Root is currently focusing on how to use this new approach for the current systems to come up with prosthesis that take the shape of user’s own body and allows for a more intimate connection. 3D printing sure is helping us out in more ways than could have been imagined and this is one great application of it!